It’s only fitting that I head back home in August. And not just because the weather in Virginia is a good 15-20 degrees cooler than here in Austin. August is Virginia Craft Beer Month and there’s a lot going on that called me back to the East Coast for a long visit. 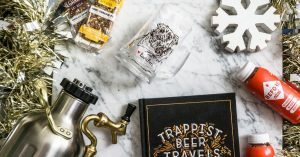 The first few days I’ll spend in Northern Virginia at the Beer Bloggers and Writers Conference, and the following weekend will be the Virginia Craft Brewers Fest. Talk about great scheduling! What I love about Craft Brewers Guild’s beer festivals is, usually in my experience, they’re an afternoon of experiencing craft beer from all over the state. No big guys, no out-of-towners, or weird chain breweries; just craft brewers big and small from all over the state. Especially in Roanoke, my hometown. Craft beer in Roanoke and surrounding area has just exploded since I left! 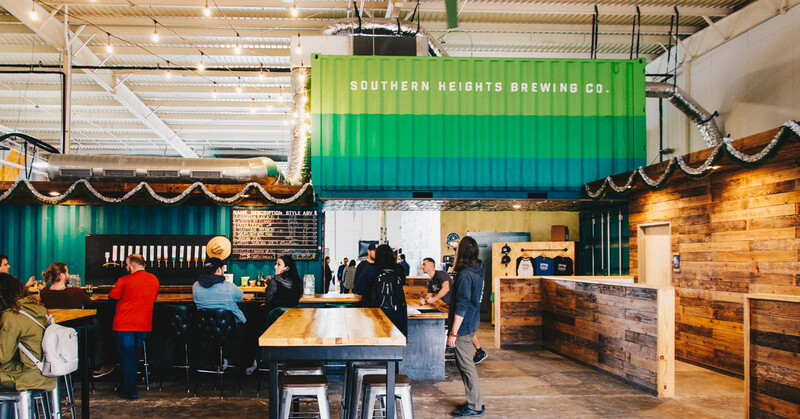 Not only are there more breweries, but now there are more food trucks, bottle shops, dog-friendly places, and more beer lovers. I’m always shocked when I go home and I usually am kept busy visiting all the new beer places. That’s what has me most excited about attending the Virginia Craft Brewers Fest– I’ll get to meet brewers from all over, and get the chance to talk with them about the beers being poured! 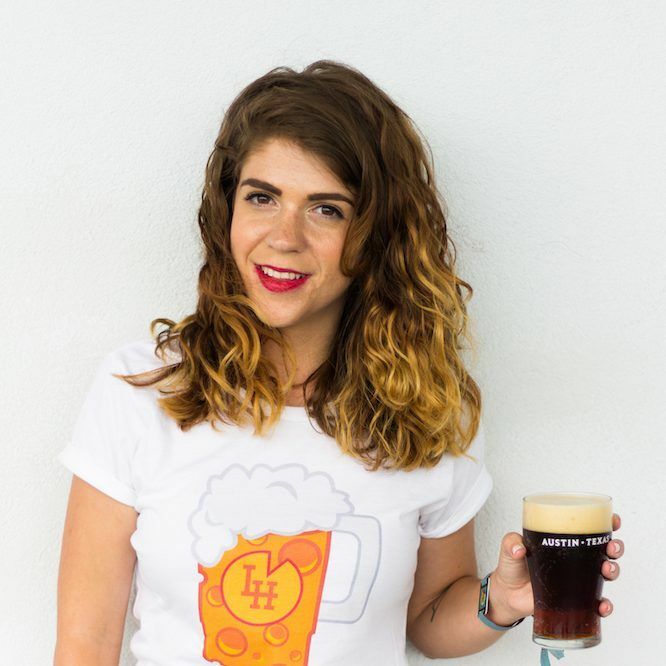 There’s a whole bunch of other cool stuff going on at the Festival, like a sour beer garden… Below are all the details about this year’s beer festival, and let me know in the comments if you’re planning on attending the festival! 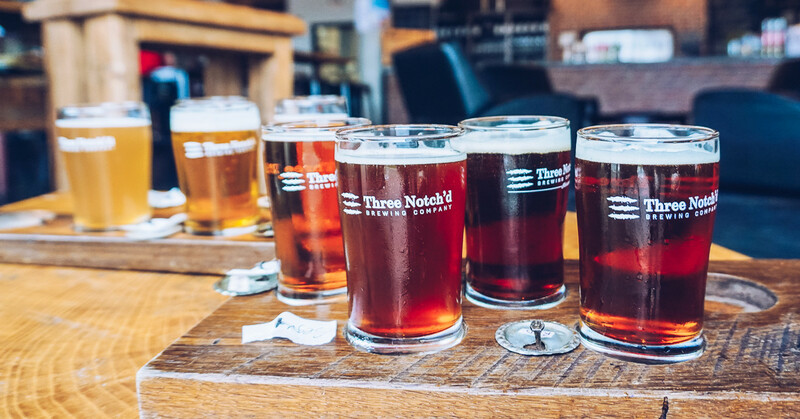 The Virginia Craft Brewers Fest will be hosted this August by Three Notch’d Brewing Company at their new location in beautiful downtown Charlottesville. 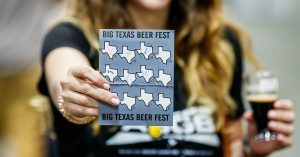 Thousands of craft beer lovers from Virginia and beyond will get an unique beer festival experience and the opportunity to chat with brewers responsible for the tasty brews. 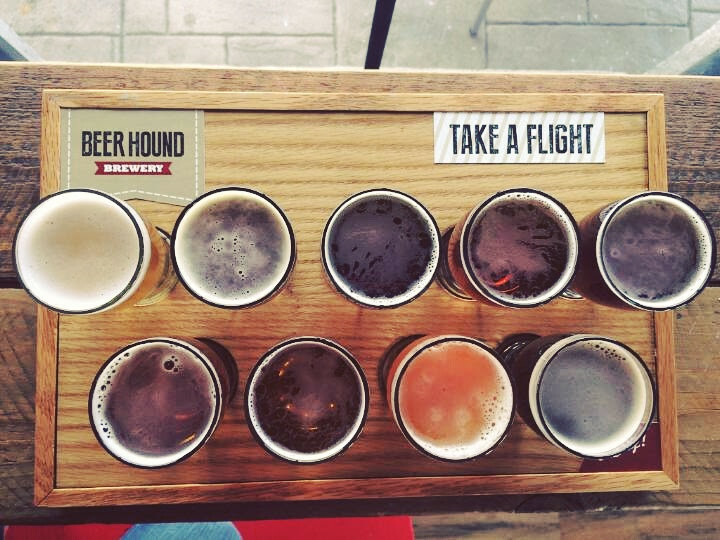 With nearly 100 Virginia craft breweries in attendance, plan to stay the whole day to taste them all. Fun Fact: As of July 31st, 2018, there are 267 licensed craft breweries in Virginia, and another 35+ in planning. The beer fest is a friendly family festival with designated driver tickers to make sure all guests have fun and get home safe. Visit the Virginia Craft Brewers Fest website for ticket information and additional details. The Virginia Craft Brewers Guild (VCBG) is an association of independent, small and traditional breweries dedicated to growing the craft beer industry in the Commonwealth. The Guild is the state affiliate of the Brewers Association. In case you didn’t know, all 50 states have some form of brewers guild or association! Whether promoting local beer or fighting for favorable beer laws and lower excise tax rates, the collective voice of a guild can speak louder than that of individual brewers alone. Guilds also provide great networking opportunities for the industry. 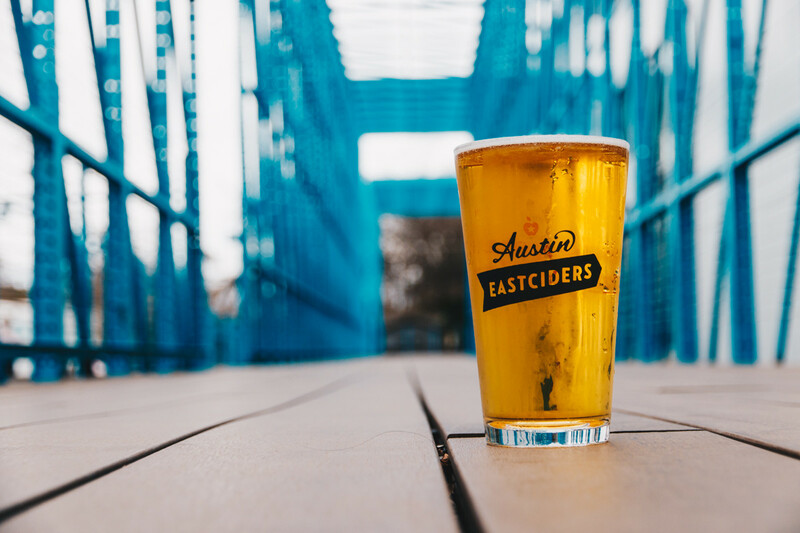 Membership for these guilds, including Virginia and Texas, is extended to craft brewers, and associate memberships are extended to businesses and organizations that provide support services or products to the industry. For more information visit VCBG. 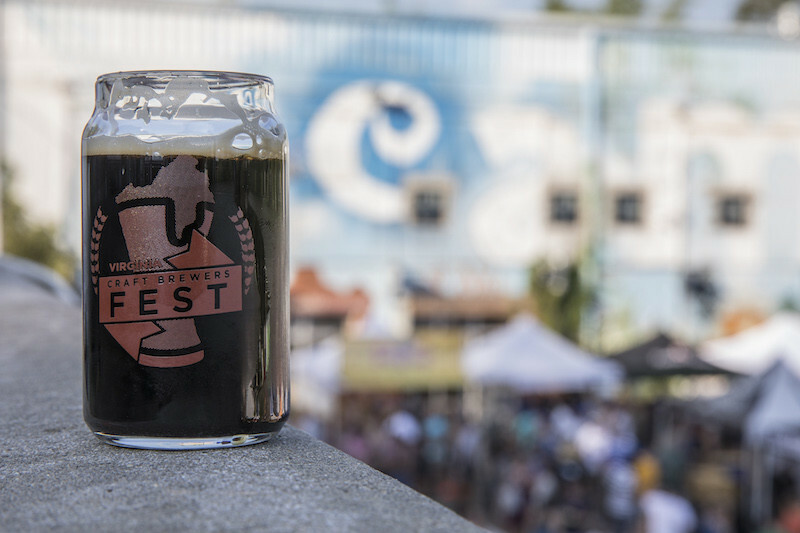 On August 18th, thousands of craft beer lovers from the mid-Atlantic coast states will descend on Three Notch’d Craft Kitchen & Brewery for the Virginia Craft Brewers Fest, a celebration of Virginia’s amazing craft beer industry. Here are the prices for tickets to the 2018 Virginia Craft Brewers Fest. 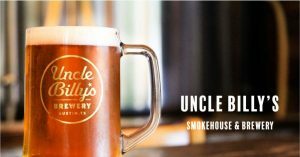 All tasting tickets come with UNLIMITED samples of beer and a commemorative glass. And here’s a tip: buy ahead!! To purchase yours, visit here. General Admission Tasting Package –$50 in advance / $60 day of event (if available). General Admission Designated Driver –$25 in advance / $35 day of event (if available). 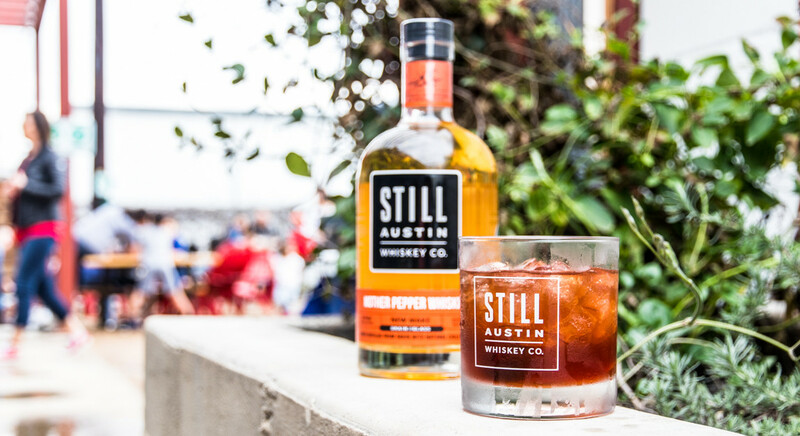 VIP Tasting Package –$90 in advance. VIP Designated Driver –$65 in advance. VIP Admission Teenager (13-20 years old) – $45 in advance. Sours Garden Add-On – $10 in advance / $15 day of event (if available). There’s Gonna be a Sour Garden! At this years Brewers Fest, you’ll be able to experience a garden full of sour beer for an additional $10. Located indoors on Fest grounds to allow ‘proper handling and serving’, the Sours Garden will feature a limited collection of several Virginia brewers sour style beers. The 2018 Virginia Craft Brewers Fest combines the end of summer and local food and music with craft beer. The headliner is Three Sheets to the Wind, “America’s #1 yacht rock band!” Also taking the stage in 2018 is Elby Brass, a funky, brass band from Fredericksburg! Completing the incredible trio with their band’s distinctive Americana sound, is Richmond-based Saw Dust. The Fest will have some of the region’s tastiest food vendors on site with something to satisfy every palate. 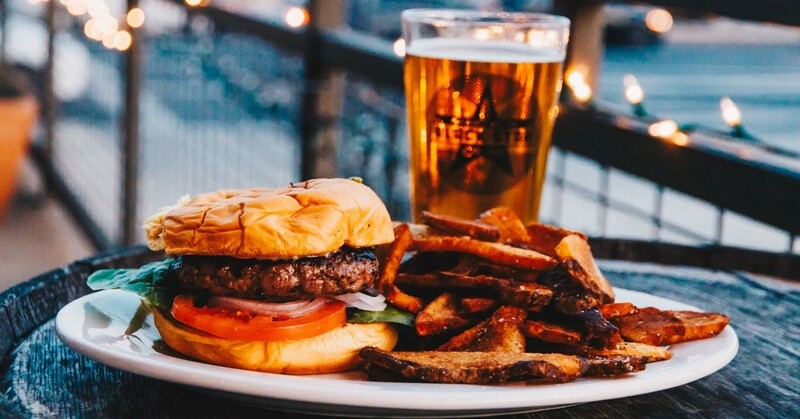 And, it is no coincidence that they all pair fantastically with Virginia craft beer! There’s six vendors planned to attend and they’ll be serving up delicious dishes, snacks, sauces and non-alcoholic beverages. When / Where: The festival will be Saturday, August 18th, between 2-8pm (1pm for VIPs) at Three Notch’d Craft Kitchen & Brewery in Downtown Charlottesville. All sales are final. The Virginia Craft Brewers Fest happens rain OR shine. Tasting cups will be distributed at the gate entrance to the Fest. No additional cups will be available for sale. Dogs are not allowed in the beer festival without proper identification as a service animal. 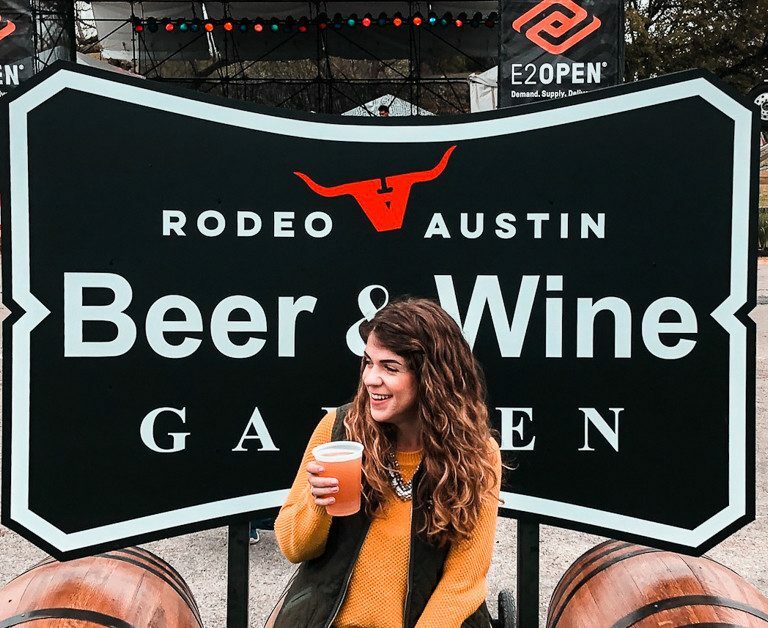 For more tips for having a great beer festival, check out my list! 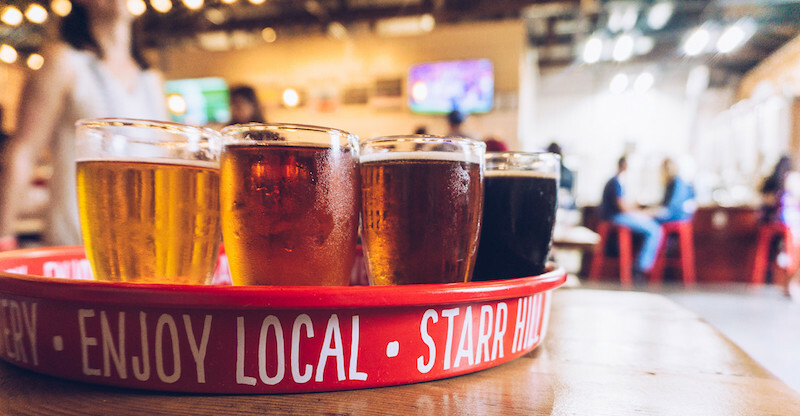 Starr Hill’s original taproom is just a 25 minute drive west of Charlottesville, one of many great breweries in the surrounding area of the Virginia Craft Brewers Fest. 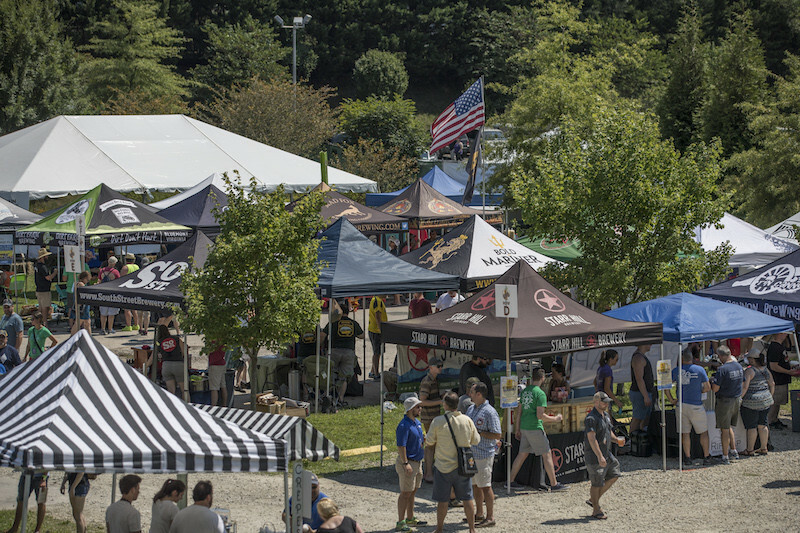 Centrally located and right off the interstate, Charlottesville is a perfect location to host the state’s beer festival. 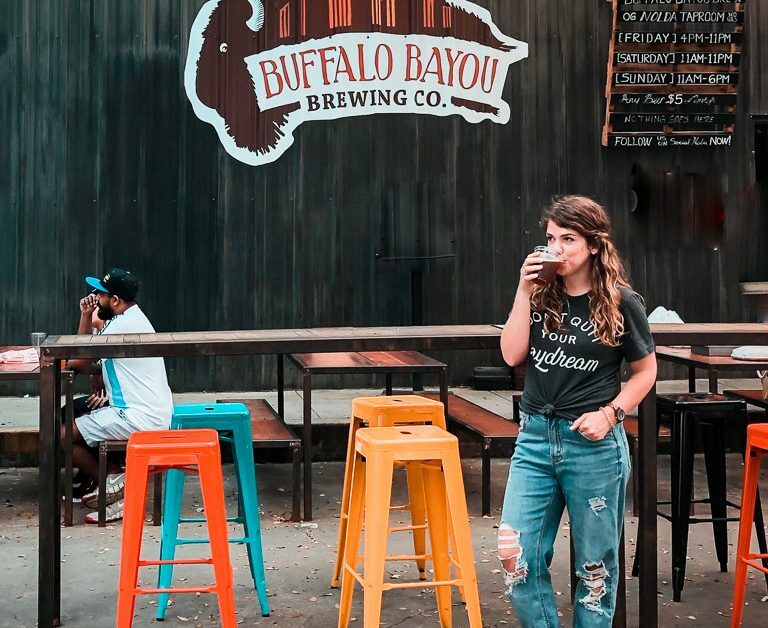 The town itself has a good number of incredible breweries, eats, and sites to see like Monticello should you find yourself traveling in for the night or weekend. Whatever your post-festival activities are, make sure you have a plan established before you get to the festival to ensure you have a safe ride home. Tour Monticello grounds and gardens at the former home of Thomas Jefferson. Exploring the Historic Downtown Walking Mall at a leisurely pace for antique shopping and eats. Self-serve beer pouring at Draft Taproom in the Downtown Mall with access to 60+ taps of beer. Virginia wine is some of the best wine in the country, go experience for yourself along the Monticello Wine Trail. Head out early and stop at Carter Mountain Orchard Country Store for fresh hot cider donuts, pies, and of course hard cider.